Following a dedicated, six-year-long program, Ross Hill Wines met its main environmental sustainability goal in 2016 of producing carbon neutral wines. As such, Ross Hill Wines is the only wine company to be registered with the Australian Federal Government as an NCOS certified carbon neutral winery. What does this mean? Carbon neutrality is achieved when a company or product’s net greenhouse gas emissions are equal to zero. Attaining Government certification involves more than just buying carbon credits – it’s about reducing a company’s carbon footprint and then offsetting any emissions that can’t be reduced. Ross Hill is one of only 38 NCOS certified companies in Australia. Some others include: Qantas; Energy Australia; Sensis; Austral Fisheries; Australian Paper and Virgin Australia. Ross Hill Wines is leading the way by not only having the wine business itself certified but by having the actual wine they produce as certified carbon neutral as well. So, when you’re enjoying a Ross Hill wine you are actually doing your bit for the environment. And that’s got to be a great feeling to wash down with a glass of wine! 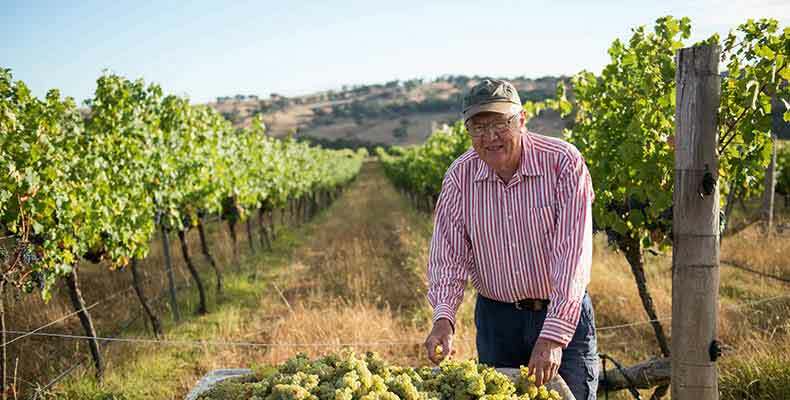 Ross Hill has long prided itself on a solid environmental policy and has carefully approached all aspects of its wine production process by adopting sustainable principles – from the vineyard to the hands-on winemaking procedures practiced.